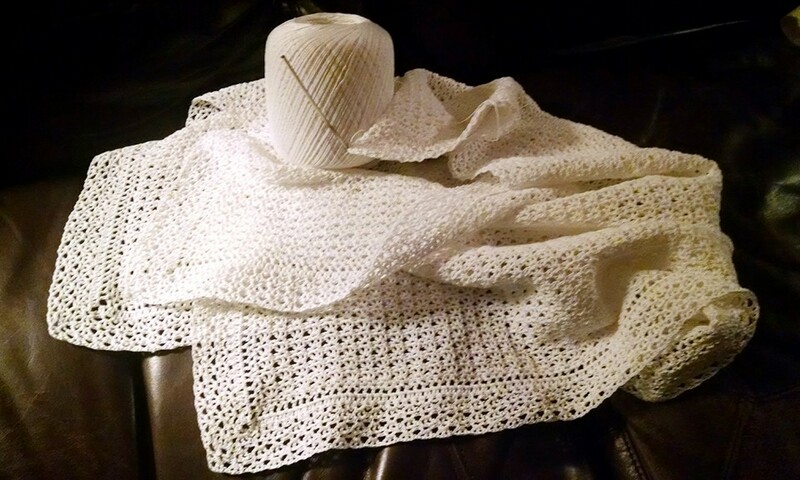 In the Palmyra temple district in about 1999, some very lovely lacemaker organized for each stake of 7 to contribute enough squares for a whole cloth, which she then crocheted together after they had all been blocked and prepared. What love. I do not take on whole cloths, but I taught about 4 people how to crochet left handed, and they each made a square and I made 3. It was one of my favorite acts of temple service ever, and I felt very close to the women who sewed for the temple workers on the Salt Lake temple. True craftswomanship. I love checking in on this site regularly to see what is happening in the Lacemakers Corner…I’m still at it too! How is your lace coming? I’ve wondered about it! I would love to get into making lace for temples! I have been crocheting for most of my life and I’m starting to get into tatting now. Can you offer any insight into how to get started doing this? Doulashellee, if you would like to make an altar cloth, check with your closest temple. The matron there will know if she needs an altar cloth, and what size to make it. In the meantime, practice your lace skills and get your stitches nice and even. Practice is a lot of fun. I started with leper bandages and pillowcase edgings. I have included several patterns on the blog that can be used to learn with. There are patterns called “filet crochet” patterns. Some matrons like these patterns, some do not. You have to be careful that there are no symbols or words in the pattern of course. It’s always a good idea to check the pattern with the temple matron of the temple you’d like to make an altar cloth for, before you begin.